"Sorting the artificial intelligence fact from fiction" continues TechRadar. 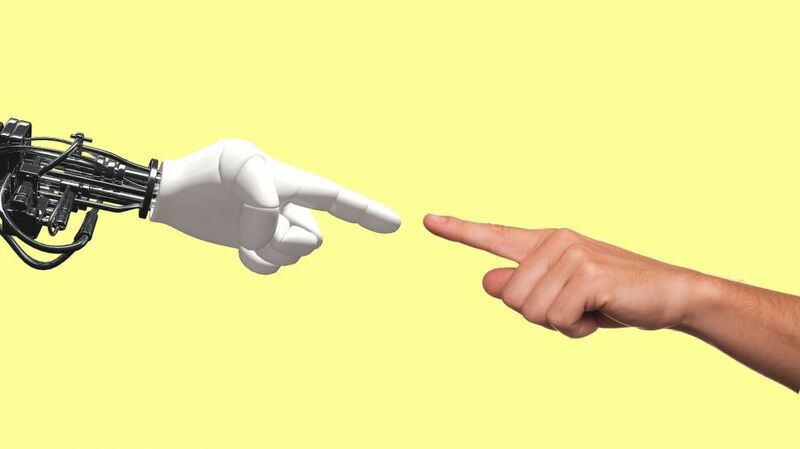 If you were to wander through the halls at the Consumer Electronics Show 2018 (CES) this year, chances are that one of the phrases you will have heard most often is artificial intelligence (AI). AI is, it appears, this year’s IoT or Cloud. The hot buzzword that every company wants to associate itself with. The term has been plastered on marketing material for hundreds of disparate gadgets: Samsung’s massive 8K TVs apparently use AI to upscale lower resolution images for the big screen. Sony has created a new version of the Aibo robot dog, which this time promises more artificial intelligence. Travelmate’s robot suitcase will use AI to drive around and follow its owner wherever they go. Oh, and Kohler has invented Numi, a toilet that has Amazon’s Alexa voice assistant built in - though mercifully, it doesn’t appear to be doing any deep-learning analysis of your, umm, data. There does appear to be something real at the heart of all of this marketing copy: it’s clear that it’s an exciting time in the tech industry, as entire product categories are being invented or transformed using these sorts of smart technologies. Products like Amazon’s Alexa, with its accurate voice recognition would have been virtually unimaginable a decade earlier, at least outside of the realms of science fiction. And Google’s ability to pick out objects from photos would have seemed like witchcraft to companies that would previously have paid humans to do the tedious business of adding metadata to images. But despite all this, it does leave me wondering: is artificial intelligence really what we should be calling this revolution? Because, well, these technologies really aren’t all that intelligent at all. It’s essentially a definitional problem: For some reason, the industry is hellbent on using AI when what is actually means is machine learning (ML). This is a much more narrow term, referring to what is essentially using trial and error to build a model that’s capable of guessing the answers to discrete questions very accurately. For example, take image recognition: say you want to build a system that separates pictures of cats from pictures of dogs. All you have to do is feed a ML algorithm enough pictures of cats, telling the system they are cats, and then enough pictures of dogs, telling it they are dogs. It will then build a model of what patterns to look for and eventually, after enough training, you should be able to feed it an unlabelled image, and it will be able to make a fairly accurate guess as to which of the two animals is in the picture. ...in the meantime I’m going to get back to work on building a machine learning system that can figure out how to easily separate the AI fact from AI fiction.